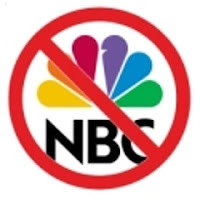 In a monumental development concerning the two-year old NBC Content Producer case, the National Labor Relations Board has now ordered that unit clarification proceedings commence immediately concerning petitions filed by NABET-CWA and Locals 11, 31, 41, and 53. This procedural decision was made by the NLRB General Counsel’s office. As a result, the Board has appointed Michael McConnell to serve as a national Hearing Officer. McConnell recently retired as the Regional Director of NLRB Region 17 in Kansas City, MO. Content Producers were doing work covered by the NABET-CWA/NBCU Master Agreement. These petitions, in addition to one filed by the Sector, will be consolidated for the purposes of these proceedings, which will be conducted under the auspices of NLRB Region 2 in New York City. Besides filing the UC petitions, the Sector and these Locals have also filed a number of Unfair Labor Practice charges against NBC concerning the removal of NABET-CWA represented employees from the bargaining units. The NLRB has already issued one formal complaint against NBC in this matter, with other complaints pending. The trial on the first complaint was scheduled to begin in Chicago later this month. However, under the General Counsel’s decision, the unit clarification hearings will now be held first, starting in New York within the next few weeks. Attorneys for the Sector and Locals 11, 31, 41, and 53 participated in a pre-hearing procedure conference call with NLRB officials on January 6, 2011 to discuss the hearing schedules for New York, Washington, Chicago, and Burbank. The final hearing schedule for each city will be decided after another preliminary meeting involving the Union, NBC, and the NLRB is held on January 28.